Learning Outcomes - Warming up the muscles before beginning Technical practice. Physical - Jogging, Running, Squats, Lunges, Fall throughs, Open/Close the gate, Side Steps, Spiderman crwal on the spot, Floor drives, kick backs, high knee drives. Challenge - Wall drives with Plyometrics & Sprints. 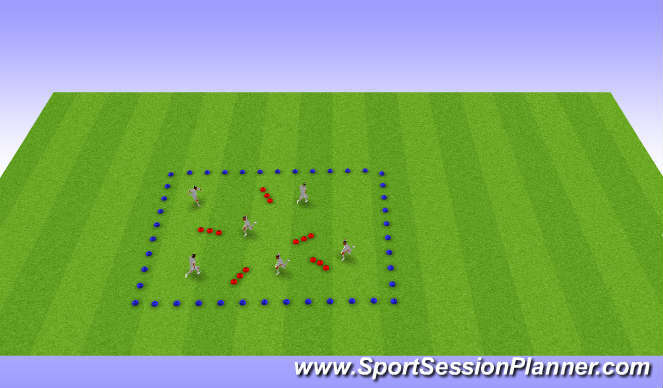 15 secs sprint, 10 secs rest against the wall, 12 secs sprint. 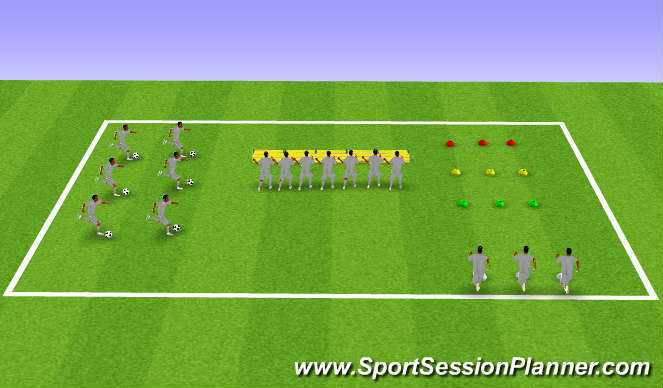 5 sets, With ball, 1 foot on 1 foot off (right,left) for 10 secs 5 secs rest, then go for 20 secs with 5 secs rest, 30 secs, step right then left, on and off the ball at quick pace, same again 10 secs on 5 secs rest, 20 secs on 5 secs rest, 30 sec. Sprints, green back yellow back, red back, looking to see acceleration from cone to cone but before you reach the cone decelerate, so looking for change of pace!